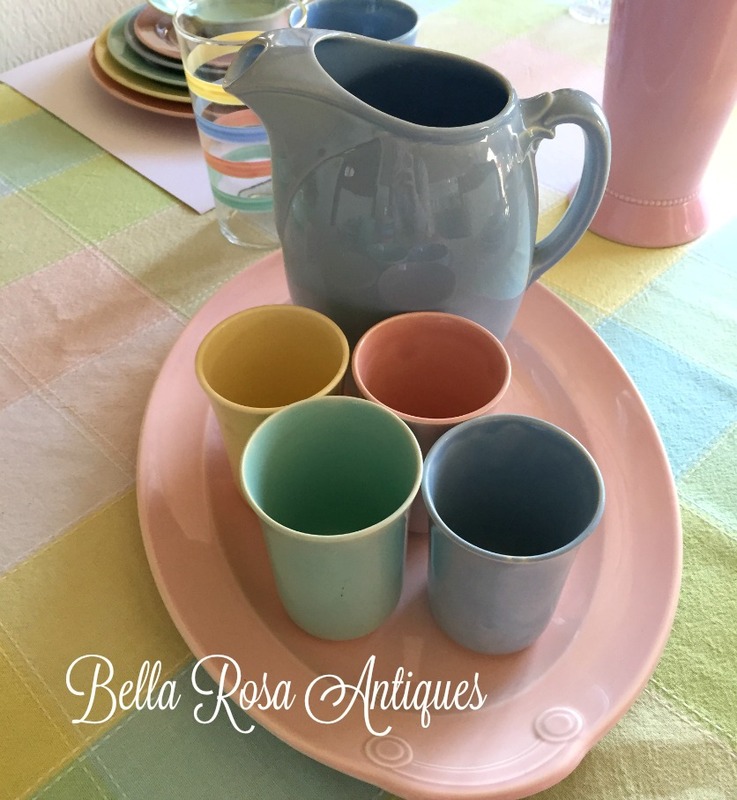 Bella Rosa Antiques: A Little Bit of This and a Little Bit of LuRay! A Little Bit of This and a Little Bit of LuRay! 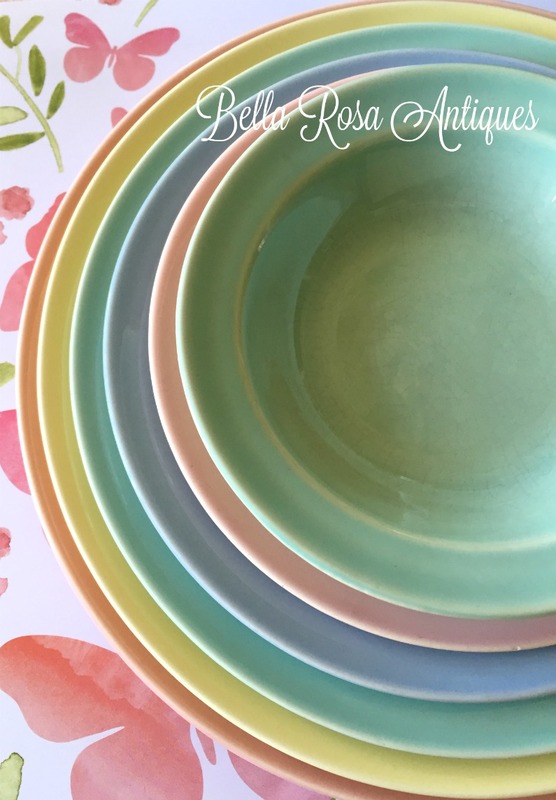 Flowers have bloomed, the temps are rising here in the Northeast, and I always bring out my LuRay dinnerware for y'all! This year though I am totally swamped with all kinds of things. The store, painting projects, up-cycled projects, and now, yes, now I am sewing costumes. Actually, just alterations, which is pretty huge for me. Bebe is in her school musical, Cinderella and I dove in to help! I love being involved with theatre, shows, dancing, etc. But the list of "To Do's" have grown immensely! And this weekend is our Spring Open House at the shop. When it rains I pours! This is our second "Farmhouse style" china hutch. I love how they look with the white and the stained counter space area. We did a smaller one and it sold the same day we advertised it on Facebook. This French Provincial buffet was a wonderful transformation. It went from vintage sixties maple stain to this rich black color (Country Chic Paint in Liquoric) with gold hardware. I also transformed a vintage wooden ironing board into a laundry/cleaning product caddy. I'll grab a photo of that later today and add it to this post. Right now I am working on a small secretary desk and a folding top table... it is so cool for smaller homes or apartments! Now I must dive into the rest of my day... but I wanted to wish you a "Happy Spring!" I LOVE how elegant looking the black dresser is. Lovely dishes, too. 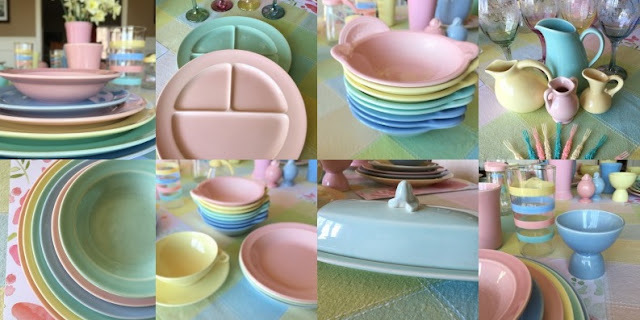 I wish I collected pastels, but they just wouldn't work in my home decor. That's okay though, I can admire yours! Your upcycled furniture is gorgeous! I love that you did NOT distress them. I know you live south of me and that is probably why Spring has sprung there.....my northeast area has a winter advisory out for today! !